Be the first to share your favorite memory, photo or story of Burgess. This memorial page is dedicated for family, friends and future generations to celebrate the life of their loved one. We are deeply saddened by the loss of Burgess Randall Bills, MD on April 4, 2019. Having lived a full and long life of 96 years and after fighting many medical problems in later life, he finally succumbed to a respiratory infection. We eagerly await Christ's return when Burg will be restored to us. Burgess was born September 2, 1922 to Harold and Florence (Ziegler) Bills in Toledo, OH. Always an inquisitive person and lifelong learner, he cultivated lasting interests in amateur radio, electronics, boating, motorcycles, aviation and Christianity and nurtured these in immediate and extended family members. Following his draft into the army in WWII, Burgess served in England at army hospitals where injured soldiers from the European theater were treated, ultimately reaching the rank of Sergeant. Upon entering the army, he was an apprenticed electrician but discovered his true calling to medicine in response to the war experiences. Burgess attended Emmanuel Missionary College (Andrews University) and then Loma Linda School of Medicine on the GI Bill. Following the war, Burgess returned to Toledo and worked for over 37 years in family medicine serving and touching the lives of many in the Sylvania area and as a staff member of Toledo and St. Luke's hospitals. 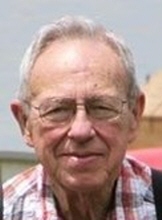 Burgess was a lifelong member of the Toledo First Seventh-day Adventist Church serving in many positions over the years. He led "Five Day Plan to Stop Smoking" seminars along with other physician church members, taught Sabbath school, sang in the choir as a tenor and lent his considerable talents to the mechanical, electrical and technical needs of the church. His enduring faith, love for others and infectious humor have impacted many lives. He followed a personal motto of living his life to be a blessing to others. His greatest treasures were his three sons Brent (Diana), Brian (Carol) Bills and Steven (Kendra) Bills of whom he was individually very proud. In addition to his parents, Burgess was preceded in death by his younger sister Beverly and her husband Rowland Wilkinson, MD of Silver Spring, MD. He is survived by his loving wife of 57 years Luanne, his three children and grandchildren Randall Bills, Mindy (Abel) Rendon, Casen Bills, Annette Bills, Earl Kimbleton, Rockie (Shannon) Kimbleton, Emily Bills and Alex Bills along with many great grandchildren nephews and nieces. Family and friends are invited to join the family for a Memorial Service at the Toledo First Seventh-day Adventist Church, 4909 W Sylvania Ave Toledo, OH 43624, Saturday, April 13 at 3pm. This will be followed by dinner at the church. The service will also be live streamed at http://tfsda.org/live for those who are unable to attend. The family would also like to thank the staff of Kingston Residence of Perrysburg and Hospice of Northwest Ohio for their loving and compassionate care. Memorials may be made to the Toledo First Seventh-day Adventist Church. Online condolences may be shared at americancremationevents.com. To send flowers or a remembrance gift to the family of Burgess R Bills, please visit our Tribute Store. "Email Address" would like to share the life celebration of Burgess R Bills. Click on the "link" to go to share a favorite memory or leave a condolence message for the family.